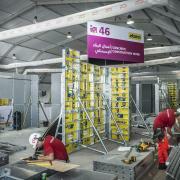 Doka to promote #ShapeOurWorld career campaign at WorldSkills 2017 in Abu Dhabi. 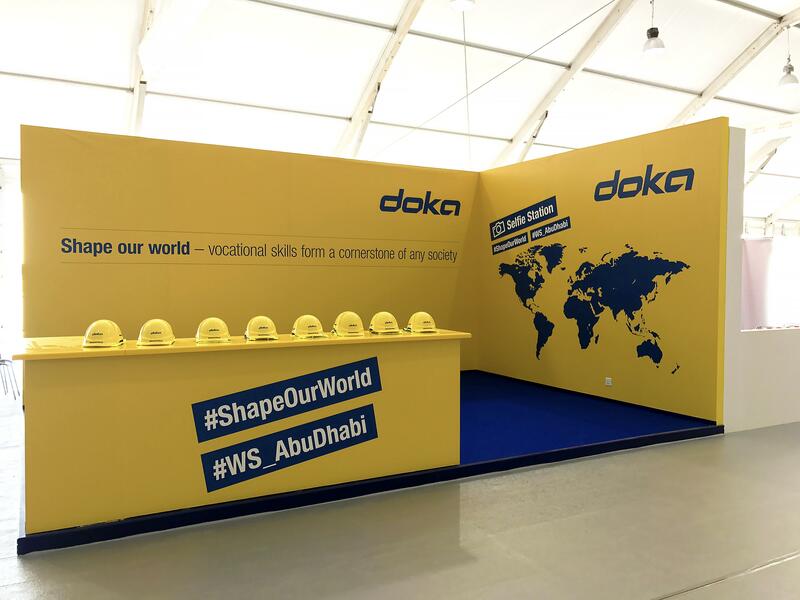 Abu Dhabi – Doka to promote its #ShapeOurWorld campaign, including full sponsorship of this year’s Concrete Construction Competition, at the 44th WorldSkills Competition, hosted in Abu Dhabi in October 2017. 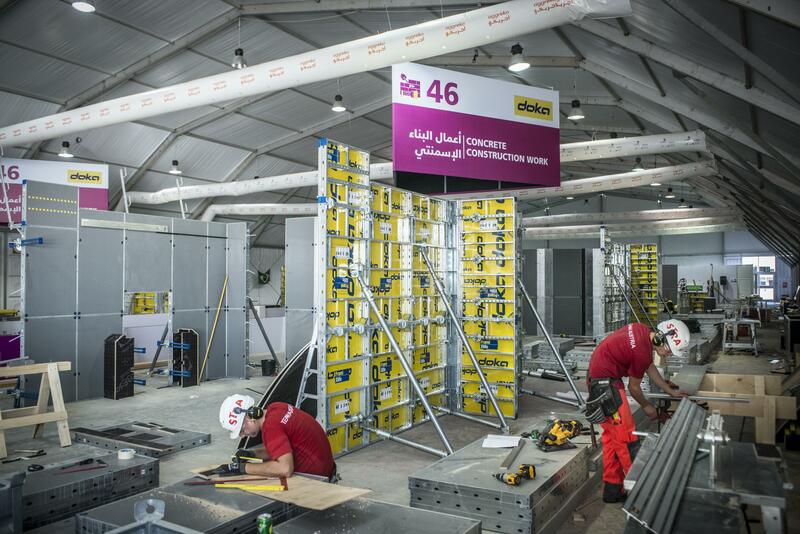 As a long-standing name in the formwork sector, Doka will once again be supporting the Concrete Construction Work competition at WorldSkills 2017 in Abu Dhabi. “Our #ShapeOurWorld initiative will not only include the skill training involved with the Concrete Construction Work competition, but also showcase the range of vocational skills available in Doka’s home land of Austria and how they add significant value to the ‘Made in Austria’ brand. In support of this competition, Doka is proud to be supplying all the necessary formwork to ensure these competitors, coming from seven countries, who’ve practised with Doka formwork for the last five months, have an equal opportunity to win this competition,” commented Michael Arnold, Managing Director, Doka Gulf. Doka was honoured to train representatives from various countries at the WorldSkills 2015 event in Sao Paulo, and ended up monopolising the podium with Doka-trained students from Austria, Germany and Brazil taking Gold, Silver and Bronze respectively. Under the leadership of the WorldSkills Competition, a global event that seeks to inspire the next generation to embrace a career in both technical and vocational fields, Doka is excited to once again participate and promote the exciting opportunities available to graduates within the formwork and construction industry. The construction industry needs professionals and finding them has become an increasingly difficult trend in many countries. This was confirmed through a detailed report published by the World Economic Forum, who proposed eight measures to make the construction sector a more appealing career choice for future generations. At Doka, we refer to people with high professional and practical competencies as, “The masters of our future”. They are recognised in the industry, work all over the globe and form the backbone of our success – and in many cases, they started off as apprentices. The apprenticeship program at Doka Austria, which caters for approximately 70 apprentices every year, prepares each participant for the future daily challenges in each selected profession. The current offer of 14 apprenticeships lives up to almost everyone’s interests, and now offers an apprenticeship to do the “Matura”, the Austrian university-entrance qualification examination. As a company with a technical focus, Doka is naturally interested in getting in touch with students of higher secondary schools with a technical focus, technical universities and universities of applied sciences so they are able to experience the competence and spirit of our company through special cooperation programmes. “A company is only as successful as the skills of its employees. Doka is an excellent example of a company whose success has only been possible thanks to the coordinated efforts of a highly diverse work pool. As such, we’re delighted to play an integrated role in this year’s WorldSkills Competition, and encourage the next generation to take an active interest in building the infrastructure and cities of tomorrow”, said Peter Vogel, Regional Director, Middle East & Africa. 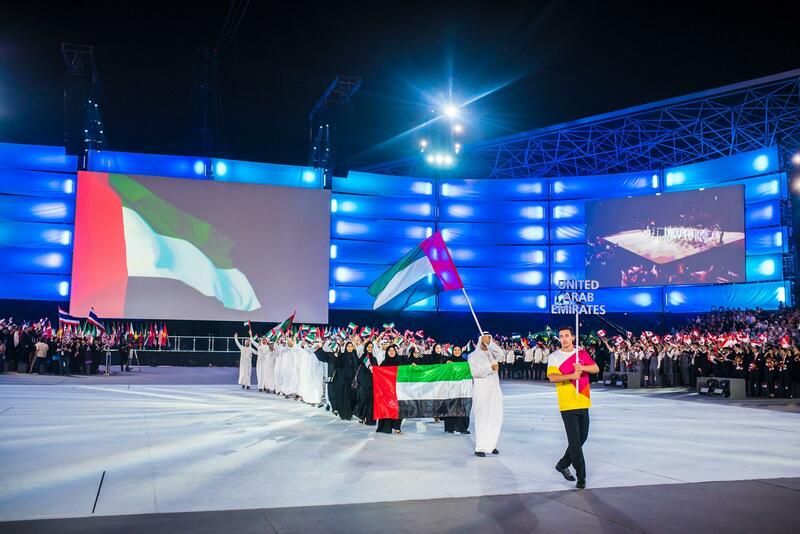 With its roots going back to 1946, WorldSkills International has served as a leading organization for promoting vocational training, career development and international cooperation. The four-day event will host competitions with more than 1,500 competitors who will seek to showcase their accuracy and precision to more than 200,000 visitors. Doka is a world leader in developing, manufacturing and distributing formwork technology for use in all fields of the construction sector. With more than 160 sales and logistics facilities in over 70 countries, the Doka Group has a high-performing distribution network which ensures that equipment and technical support are provided swiftly and professionally. An enterprise forming part of the Umdasch Group, the Doka Group employs a worldwide workforce of more than 6,200. Thank you for your interest - Inspiring the next generation through formwork and construction. Thank you very much for your interest - Inspiring the next generation through formwork and construction.